I'm going to break from the usually silly tone of this blog to write a serious post about one of the most important and influential writers for the last century. 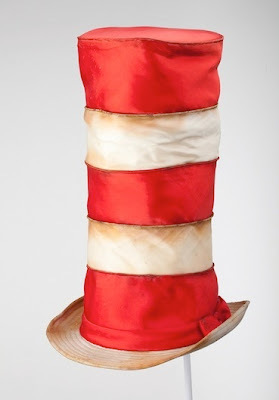 Dr. Seuss had a hat closet full of hats that he collected from around the world. According to Collectors Weekly, he'd sometimes break them out to overcome a creative block, or just for dinner parties. 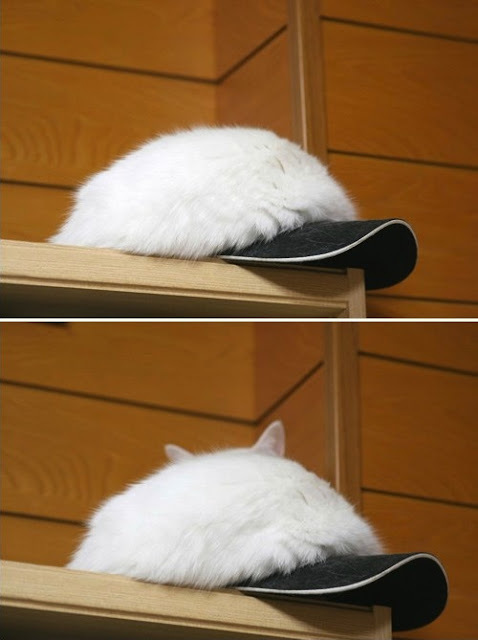 Some of his hats directly inspired characters in his famous book, like the cat's hat, above. 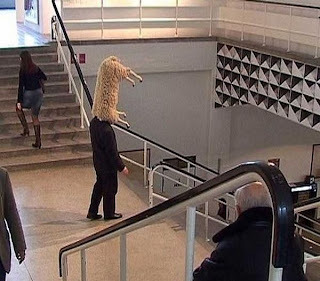 There's a touring exhibition going across the US where you can see some of these hats in person.